In the online realm, retailers are often fighting off traditional norms when it comes to shipping and carton boxes. The issues are, these retailers do not have the conventional value of a bag to provide to their customers while they walk the mall, but one of the most under-utilized branding methods is on the very shipping box that the company is already using. In this article, we are going to touch on how custom carton boxes can help group your brand across the entire spectrum. For years, shipping boxes have been relegated to the plain brown box with a barcode. WRONG! Here at Netpak, we have worked with our clients redefining the traditional shipping box, and instead, turn it into invaluable real estate as a branding and marketing tool. We have created custom boxes for various industries, everything from Pizza to Retail. And part of what can differentiate you from the competition is how your package arrives at a customer’s front stoop. When you send along either a shipping box or a custom carton box, you are creating an opportunity to spark a meaningful engagement with your client. Opening a package should be a thrilling experience, similar to unwrapping a carefully wrapped birthday gift. It’s not just about the product inside that counts, but rather the marketing effort that goes into delivering a personalized and unique moment between brand and consumer. This opportunity is often overlooked. Companies can benefit from a positive psychological effect, and that is why custom carton branded boxes will ensure the client experience of opening their product starts on the right foot, and customer loyalty is obtained. A box is just a box until you add custom branding, and then it becomes a mobile advertisement. There are some great marketing campaigns that you can build around your packaging. But the simple fact remains, according to a Dotcom study, is that 4 out of 10 consumers will share a picture of a unique box on Facebook, Instagram or Twitter. Thus, any time you ship a plain brown box you are missing an opportunity to exponentially grow your brand through social media advertising you do not have even have to pay for. Think about potential ways to keep the customer re-engaged post purchase, simply by posting their box online and sharing it with friends for a chance to enter into a contest. Campaigns can go viral, which is incredible for your brand recognition. The online marketplace is growing, and with 54% of millennials preferring online shopping to traditional shopping, the importance of custom carton boxes become even more essential. Instead of a brown box methodology, an ingenious redesign combined with Interactive Smart Packaging or QR codes, will ensure that this next great generation will learn and recognize your brand for thinking outside the box, a trait in which millennials identify with. So, is it about time that you chatted with Netpak about revolutionizing your carton box? If so, we would love to talk as we are one of Canada’s folding carton pioneers, offering our clients a variety of board options and custom printing that we tailor to meet your specific needs. 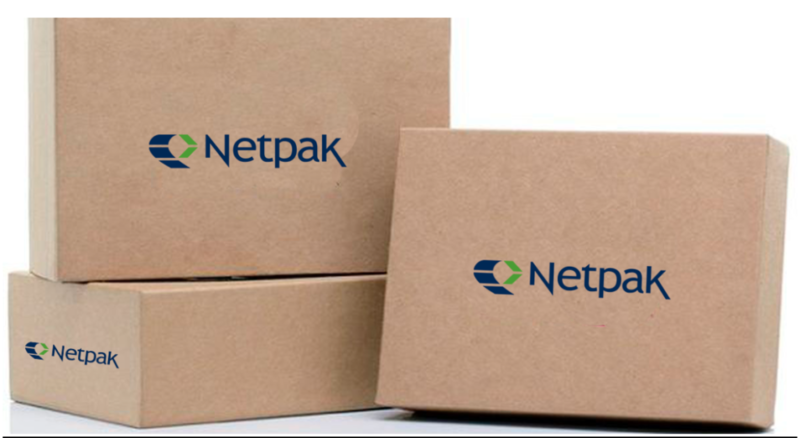 Let’s see how Netpak can make your box the talk of social media.